In my work life, misdirections generally mean that I wasn’t listening properly because I was either distracted or simply not listening. Either way, these are poor excuses for not doing something the right way. One of the biggest lessons I’ve learned is when in doubt, ask more questions for clarification. It will save your bacon! I find that as I get older the more I need to write things down. This comes in handy since I am a writer and tend to carry a pad or something to write with wherever I go. Now my notes might not be very neat, but they are my notes and I understand the scribbles, shorthand and notations. Taking notes has definitely helped to keep the misdirections to a minimum. In everyday life, however, the universe tends to send out mixed signals. 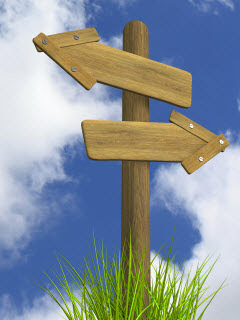 It is up to each of us as individuals to determine which way to go. While they might look like misdirections at first, looking a little deeper might produce a clearer picture. I try to not let these signals get the best of me as it usually just means I need to make a decision about something. While flying by the seat of my pants my be a good way to sail through signals, I’d prefer to chart a more well informed course. I think about the consequences of either direction I could take and then make the best decision possible to guide me through the misdirections and keep me on my journey. Sometimes there is no right or wrong decision…it’s just a choice. These days, I choose to be happy, and the decisions I make are charting a nice course that keeps me on that path of blissful contentment. Wishing you moments of guided misdirections! 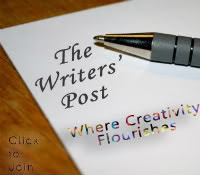 This post is written for The Writer’s Post Weekly Blog Hop. Michelle is the host for this week. Check out her blog here. Interested in learning more, please check out the link below!